So it would appear that the Victoria and Albert Museum has been collection streetart prints for their permanent collection for a number of years now. According to the V&A website they have traditionally collected new forms of printmaking, as well as ephemera and various forms of graphic art and I guess this includes streetart. 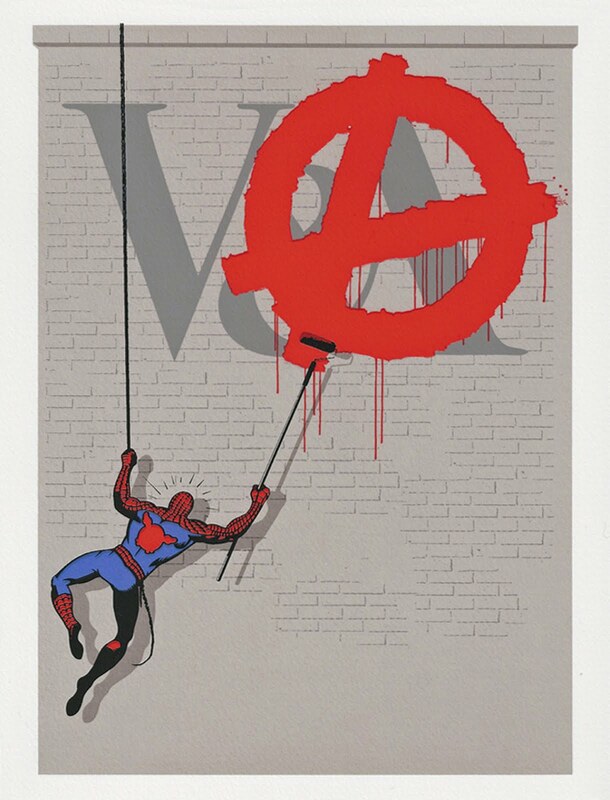 Street Art: Contemporary Prints opens this Thursday 14 April 2011 at Black Rat Projects and features streetart prints drawn from this V&A collection. The exhibition has been touring across the country since October 2010 and will tour until December 2012 at various locations. For this, the London leg of the the tour hosted at Black Rat Projects the preview evening will also mark the launch of an accompanying publication of the same name, compiled by London curator Riikka Kuittinen. Alongside the standard edition of the Street Art: Contemporary Prints publication a Limited Edition which includes a small scale 9 colour screenprint by D*face will be available for £125 on the preview evening from 6-9pm. The preview will also include works on display from artists such as Blek Le Rat, D*Face, Banksy, Dscreet, Pure Evil, Blu, Sweet Toof, Sickboy, Swoon, Miss Tic and Shepard Fairey to name a few. The show will run at the gallery until the 29 April before moving to it's next location. The standerd edition of the Street Art: Contemporary Prints is available from Amazon here .